Apartment is on the second floor, it has a bedroom (double bed), small kitchen, bathroom , TVSAT, WIFI, air condition and terrace with grill and sea view. It is private, romantic apartment in a quiet part of the city close to the beach. 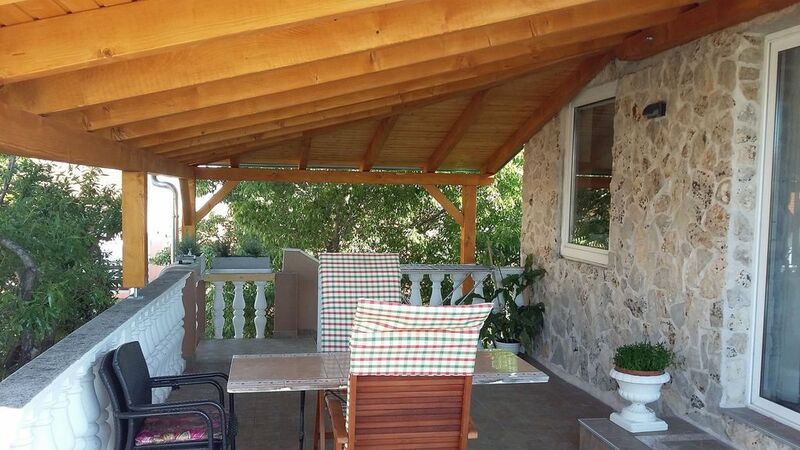 They are 250m from the nearest beach and 500m from the city center. It is suitable for singles, couples or friends. The house has parking. The first store is 50m away, and 300m from the supermarket. Apartment is only 200m away from romantic and quality restaurant Dupin, and also coffee bar kveric, which finds itself directly in vicinity of the beach. The main marina Marina Kornati is only 3 min on foot from the house.